The Jungle Teacher: My Thumb Has Healed! 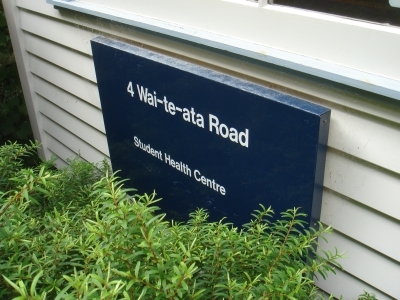 At 1pm, Thursday, i made an appointment with nurse Diane Morgan at Kelburn Campus Students Health Centre. I needed a check on my thumb. This is wad u hav to do at Student Health. After making an appointment and arriving at the correct centre at the appointed time, go to reception and make ur presense known. You will be given a slip to put into the respective doctor's/nurse's pigeon hole. Then, wait for the doctor/nurse to call for you. hint: The doctors and nurses rotate rooms so you may not find them in the same room during your second visit. I got into her office and showed her my beautiful thumb. She said it was recovering well! YAY! And she told me to put some moisturiser on the area because it tends to dry up easily. The appointment was wrapped up in less than 5 mins. Now you are supposed to leave the office with d slip and hand it in to reception. I did jz tat and to my surprise i had to pay for this visit. My last two visits didnt require any payment... But i complied... $25... DANK! 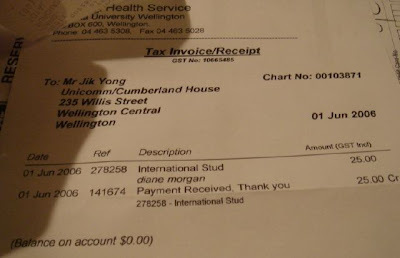 Hint: From the lady at reception, it seems i can claim the full ammount if i hand the reciept to the International Student Office at Pipitea Campus. That's quite a distance away... again DANK! 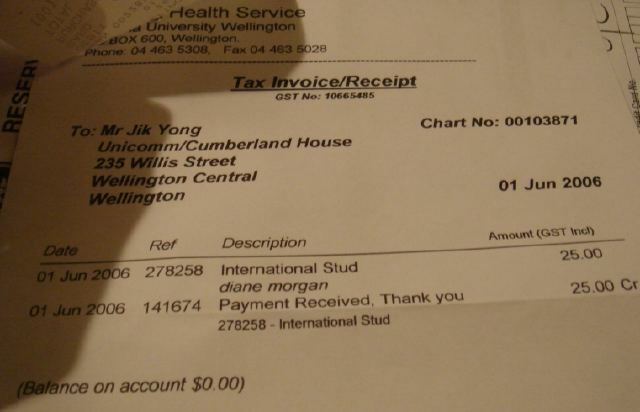 I had a look at d reciept and i found that they described me as an "International Stud"!! Talk about sugar coating! How sweet is that?! !